The last we saw of King T’Challa he was dusted and evaporated right before our eyes during the battle of Wakanda. His last words were to Okoye “Get up this is no place to die”. Of course that had an extremely emotional impact because I don’t think anyone expected him to be dusted right then and there. But low and behold– it happened. He slowly disintegrated and the audience in the theater gasped in horror. So as for Avengers: Endgame what will the resurrection of Black Panther look like? There is a theory floating around the internet that the Thanos snap a.k.a “the decimation” will be undone by either time travel or by going into alternate dimensions through the Quantum realm and getting alternate versions of the Infinity Stones. If this is indeed the case there is also speculation that “the decimation” will have lasting effects on characters in the timeline. What do I mean—- if alternate dimensions and versions of the Infinity Stones are used to reverse the snap– perhaps the returned versions of “the fallen” may not be exactly what they were BEFORE it happened. It’s almost like Pet Semetery– where the version of the person that comes back is evil– but in this case since it’s the MCU. What if the returning version of Black Panther was more aggressive and not as “nice” or tolerant of the world outside Wakanda. He could be a much more ruthless ruler or hold a different personality all together. 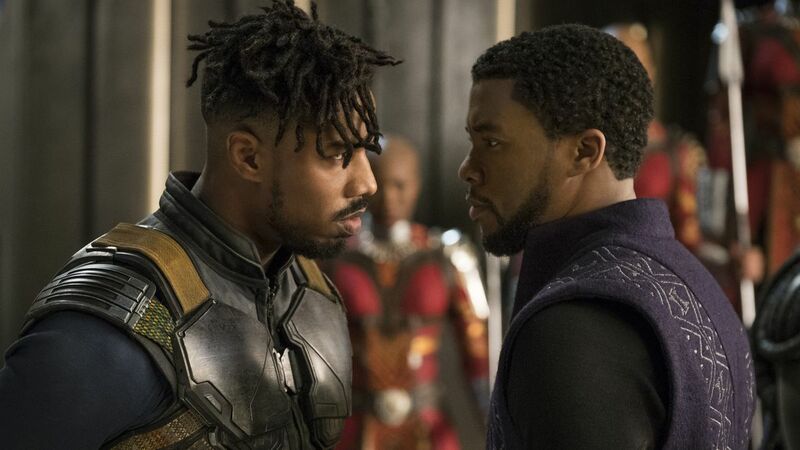 What if Black Panther came back…but the new version of him held beliefs and behaviors that were closer to how Killmonger saw the world? Interesting topic and quite a unique concept. There is a storyline in the comic books from “The Man Without Fear” where Black Panther ends up stripped of the title of “Black Panther” and he ends up in Hell’s Kitchen protecting that neighborhood. Now I will admit this would be one hell of a stretch to take him from Wakanda to New York City…but in the MCU –they often take the comic storylines and change about 30-40% to create the movies. Instead of New York what if he ended up in the same Los Angeles neighborhood that Kilmonger grew up in and became the local superhero against a threat of some sort? It would be quite a character shift and isn’t 100% outside the realm of possibility… is it? Super Hero Central… TOP 5 Avengers Endgame Theories…. 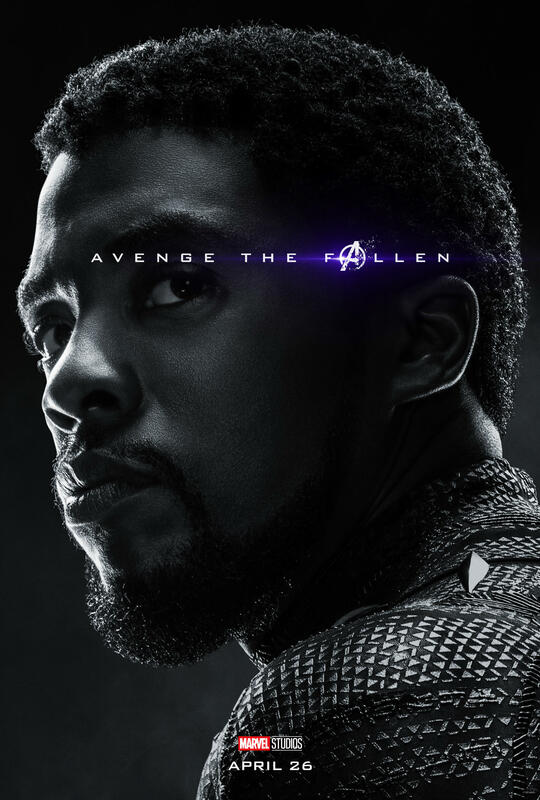 This entry was posted in Featured, Film Review, Movie News & Rumors and tagged Avenger Endgame, Avenger The Fallen, Avengers, Avengers 4, Avengers Endgame Theories, black panther, Emperor Cole, Endgame, Endgame Theories, Marvel Cinematic Universe, Marvel Comics, Marvel Phase 4, MindBender, MindBender Entertainment, MindBender Entertainment Youtube Channel, Mindbenderent.com, MindBenderEnt1, Movies news, Nessa Noel, New Avengers Endgame Theories, New Avengers Movie, Super hero news, Super heroes, Superhero Central. Bookmark the permalink.